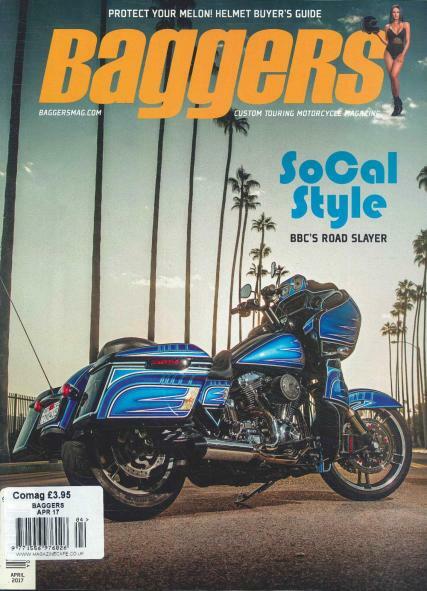 Baggers Magazine aims at aiding its readers in customizing their Harley Davidson bikes and modifying them in such a manner, which provides a stylish riding experience for them. Buy a single copy or subscription to Baggers magazine. This magazine comprises of an array of useful articles stretching to various niches. The target readers of the Baggers magazine are the bike enthusiasts from all age brackets, with a special emphasis on Harley Davidson bikes. In a way, this has acted as a marketing tool for the bikes of this brand. Baggers Magazine also comprises of sections which talks about the highlights of the distinct baggers event taken place recently. Baggers Magazine is a great source of grabbing the latest news happening in the automobile arena. The reviews of the bikes provided by this magazine are objective and honest, which is the fundamental reason of readers trusting the verdict given by the Baggers. The engine performance is one issue which every biker faces on a regular basis. Baggers Magazine also contain a section which provides ample knowledge and information on how to enhance the engine performance.